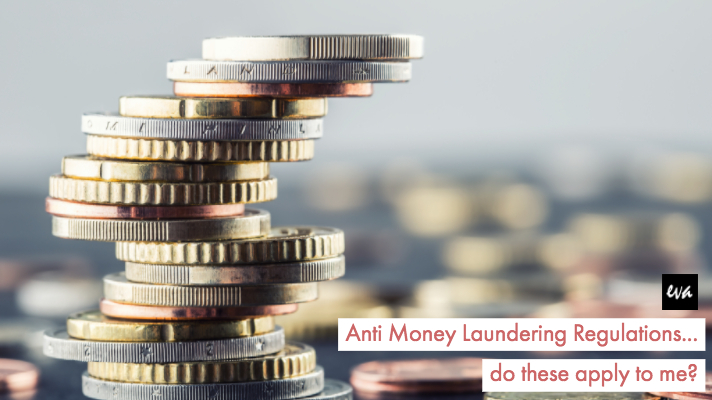 This blog post is really for any of my friends / fellow VA’s that have wondered if any of the tasks they carry out for their clients mean that Anti Money Laundering Regulations apply and therefore require them to be monitored by a supervisory authority. Anyone advertising or doing Bookkeeping or Accountancy should be registered. If you are just transferring data to a spreadsheet or document and are not analysing the information then you are NOT REQUIRED to register under the Money Laundering Regulations. If you are creating the spreadsheets and adding the financial information on behalf of the client you are in scope and REQUIRED TO REGISTER under the Money Laundering Regulations. Raising sales invoices on clients software e.g xero, sage, would come under bookkeeping and you WOULD BE REQUIRED to register. Entering purchase invoices onto clients software e.g xero, sage, again this would come under bookkeeping and you WOULD BE REQUIRED to register. If you are in any way responsible for the figures showing on the financial records of a company then you will need to be registered under the Money Laundering Regulations. Every business covered by the regulations must be monitored by a supervisory authority. Your business may already be supervised, for example, because you’re authorised by the Financial Conduct Authority (FCA) or belong to a professional body like the Law Society. If not, and your business falls into one of 7 business sectors, you’ll need to register with HM Revenue and Customs (HMRC). You need to register with HMRC if you carry out activities typically associated with these types of organisations by way of business and you aren’t already registered. A business must not trade without registering with HMRC under the regulations. Trading while not registered is a criminal offence. It may result in a penalty or prosecution.